Space Warrior was my first foray into the world of 2D games built in 3D. While not a true 2D game (it is using 3D physics calculations and objects) the game was built orthographically so that it would appear to be in 2D. While creating this game I was introduced to C#. I had never programmed in C# before this assignment so it was a pretty daunting task having to both complete the project within the deadline and learn a new language simultaneously. The point of the game is to earn as many points as possible. 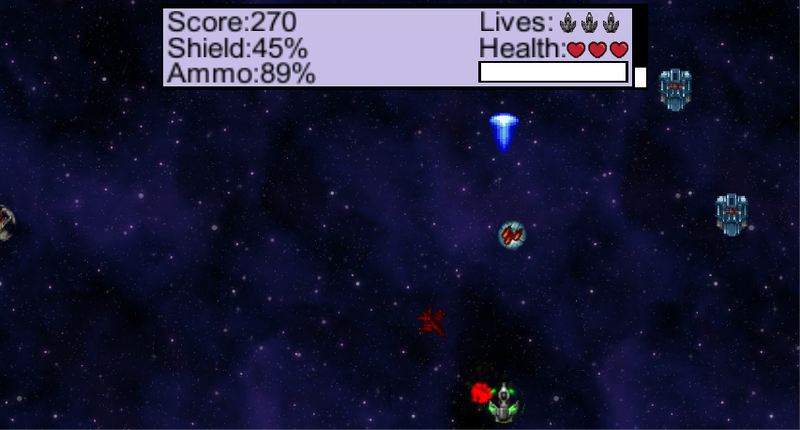 The player will face various enemy types and have to fight a boss, or three…..or……infinite. Download and try it for yourself!